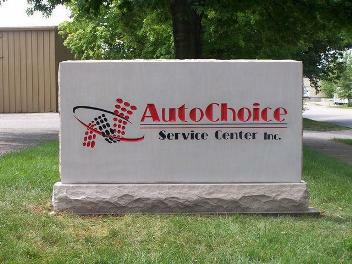 AutoChoice Service Center Offers Auto Repair Services You Can Count On! 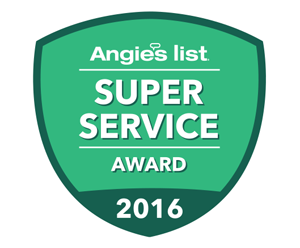 We Received The Super Service Award! It is the highest honor given annually to the top 5% of qualifying businesses on Angie's List. Since 2002, AutoChoice Service Center has provided motorists in the Bloomington, IN 47403 area with comprehensive auto repair services that include 4x4 Services, Alignment, Brakes, Car & Truck Care, Domestic Cars & Trucks, Electrical Services, Electronic Services, Engine & Transmission, Engine Maintenance, General Services, Heating and Cooling Services, Import Cars & Trucks, Miscellaneous Services, Towing, Transmission Services and Undercar Services. Our goal is to offer the best services available at affordable prices to get you back on the road in no time. For a high-performing vehicle, trust AutoChoice Service Center with your car, truck, or van. To learn more about the services we offer, please contact us by phone at 812-339-9898 or send us an email. We also invite you to learn more about our dedication to you, our valued customer. I’ve been here a couple times since moving to Bloomington and I’ll never have my car serviced anywhere else! They are always so nice and helpful, and let you know everything that’s happening and how much it will cost you. And their rates are far below what else I’ve seen here compared to others, for a better experience it seems! By far the best experience I’ve had at any car place, and always at a surprisingly awesome rate. My son is a student at IU and needed to have his catalytic converter replaced on his Pontiac G5. Finding a mechanic is stressful enough, let alone having to locate one long distance. I did my homework and reached out to 4 different garages in the area who provided me with 4 different quotes. Prior to making my decision, Adam and Floyd encouraged me to speak directly to the gentleman who performs the diagnostics. He explained everything to me in detail and basically restated what my local mechanic had told me over Christmas break. Excellent customer service, quality work and a warranty on parts/labor, all at a reasonable price, in other words, well worth the money. I highly recommend AutoChoice! These guys are super great guys! Checked my car over with a fine tooth comb. Thank you for your hard work and we will be back! The staff there is so nice. They gave me some great advice and are understanding that your car is your life line! Would recommend to everyone with car troubles. I can't express how much I appreciate Auto Choice Services. I have had them repair my car on three different occasions and each time I was thoroughly impressed by how well they treated me and I always felt like I was getting a fair deal. The staff is so kind and professional, and they really go out of their way to make sure everything is taken care of. Once they even took me home and brought me back when my car was ready because I didn't have a ride. I highly recommend them to everyone I know in town who needs automotive work done. Thank you guys so much! Your work is greatly appreciated! They don't rip you off. Super cool dudes! These guys are awesome. They've worked on my 2003 Volkswagen Passat a few times now, and their service has been spectacular. AutoChoice is the place you take your car and have complete and total peace of mind that it will be assessed and repaired with the highest level of professional integrity and experience. We have taken several of our cars there over the past few years and each and every interaction has been handled with top notch communication and quality work. They truly know what they're doing and they get it done without drama. I can not recommend AutoChoice highly enough! Very honest and do great work, I have never had a bad experience with Autochoice. It is the only place I'll take my vehicles to get serviced and repaired. These guys are by far the best shop in town. Great rates, timely service, and have always been very professional. 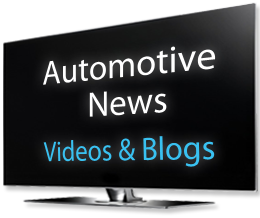 I recommend them to anyone that has an issue with their car and the willingness to listen. Nicest guys, best work i have ever had done in Bloomington. Auto Choice is my first choice! This is by far the best place. Not only did the guys here save me $1000 on the repairs by being HONEST, they have been ao awesome and helpful. I have had several personal problems and they have worked with me the whole way. They have done EVERYTHING they could to get the repair done. I would recommend these guys to ANYONE who wants to be treated fairly as well as NOT be taken advantage of. Had one repair shop that (because I'm female) told me $2000 minimum and that I needed to replace every part of the brake system front and back. These guys said absolutely not and explained everything and didn't act like I'm a target because I am a girl. Very fair very good and the best place ever. I will NEVER take either if my vehicles ANYPLACE else. Would give them 10 stars if I could. These are the guys you trust with your grandmothers car! Honest, fair, and excellent service. Thanks so much!! They've always been fantastic; I originally went to them not knowing what my issues were but kept going back because they did such a great, earnest and honest job of finding and fixing my car's issues. I've had plenty of experiences with other mechanics who try to sell me more than I need, but the Auto Choice mechanics have always been patient and fair with me, explaining what I need to fix but not pressuring me to do so if I say it's not currently in my budget. The mechanics have always been willing to show me what's wrong and help me understand my car and it's issues better if I ask questions, and I've always valued their great customer service. They were very friendly and professional, I also very much appreciated the way Lloyd goes over the receipt with you when you pick up the car. They are also very accommodating about scheduling. My experience with them was great. I will be going to them for any future vehicle repairs. They will check your car out for free and tell you everything and anything that is wrong with it. The folks here were awesome! I drove down from Indy to Bloomington to check out a used VW Beetle. I called ahead to Choice to see if they could check the car out, and they said they would work me in. At first they proposed the next day, then realized I was travelling from Indy. I arrived with the car and they got right on it. Within 45 minutes they had a list of problems and potential big problems with the car. They asked me how badly I wanted it - it was a cute convertible - but a few thousand into repairs, I could walk away. I then asked how much I owed, and they said zip. With the problems they found, they did not hook it up to the computer for engine diagnostics. That was $95, but they figured I had already heard enough. They could have done that and I would have been none the wiser. Wow! I am very impressed with their integrity, service, and professionalism. Service manager, Lloyd, was very pleasant and friendly - my wait flew by. I highly recommend this company. I realized I needed my brakes checked after 3,000 miles on a road trip. I called on Thursday night and asked for an appointment for Friday morning. I needed all new brake pads, rotors and calipers. They showed me all of the parts and where they were damaged. They ordered the parts from three separate places, in order to get what they needed to finish the job that day. Everything was completed by 3pm and we were home by midnight. I totally trust this company and would be happy to work with them again. I found them on Yelp, with all five star reviews - well deserved -- thanks guys! They are amazing - it's as simple as that! They got my car in the shop and fixed in a matter of hours - after a week long struggle I had. The guys are also extremely friendly. I highly recommend them! I highly recommend Autochoice. They are top notch and hands down the best auto service in Bloomington. I have been taking my vehicles to them for a few years now. After bouncing around sideshow mechanics, I finally found a group of mechanics that knew what they were doing and furthermore that I can trust my family?? ?s vehicles with. They are friendly, professional, and informative. They will NOT try to take advantage of you. These guys are honest and trustworthy. They communicate well and explain issues in a thorough, yet understandable manner. They will tell you the details behind the costs. At Autochoice I've consistently had good experiences and am quickly back on the road as a happy camper. My family and I will absolutely be going back to Autochoice for any future vehicle maintenance. If you want a group of mechanics who are honest, helpful and care about their customers, you should check this place out. You guys are my heroes! Worth your weight in gold. "Many" years ago I had car trouble that resulted in getting kidnapped. So "NOW" any time I have car issues I'm a mess... I walked in off street today and they understood calming me not laughing @ the crazy woman. Thank you Adam, Dave and the whole gang! These guys are TOPS in my opinion. They are no nonsense mechanics that don't feel the need to over charge. LIFE SAVERS!! The real McCoys!!! Thanks again boys!! YOU ROCK!!! The guys were great & did a great job & even referred me to another great business owner for another job that they didnt offer. Adam the owner & Llyod especially. They even fixed something I didn't even ask for which was a surprise. Will definitely be back again. We have been taking our Denali to AutoChoice for about 3 years. The service is always spectacular. All of the mechanics are first rate and the prices are very reasonable. I would not take my truck to anyone else in Bloomington and always recommend AutoChoice to friends and family who need service. Best place hands down. Don't ever call or go anywhere else. I own a pt cruiser and bought a battery at walmart and they wouldn't install it. Called everywhere; autozone, oreily's and a few other places, all telling me they couldn't install. Called these guys and got the best service without a wait. I highly recommend! I love these guys. They are reasonably priced and always willing to go the extra mile with services when needed. Their staff is courteous and friendly and they clearly explain everything to me if necessary (My automotive knowledge is only so/so). My man Lloyd at AutoChoice took good care of me. Real fast service, good communication, the price was right, and most importantly the work they did was top notch. Love these guys, definitely coming back here for any future car troubles. I go to these guys for all my vehicle needs. If you want honest repairs at fair prices look no further than AutoChoice! A++ for you all, thank you for all the help. You will be doing all my work from now on. These guys did a great job on my Tuarus. They were fast resonable and just really nice when talking to customers. They got my car in and done in one day where other guys I had to wait 5 days before I could get it in. I would recommend Auto Choice Service Center to anyone.